These photos were taken late in the year of 2014 in the Greenwood Lake area of New Jersey near Hewitt. The fingers of oak and elm drift across the shallows of Turtle Pond in New Jersey. Just outside Pinecliff Lake in New Jersey is a patch of tall swaying grass. The gnarled limbs of an oak tree stretch to the sky, autumn in full bloom. 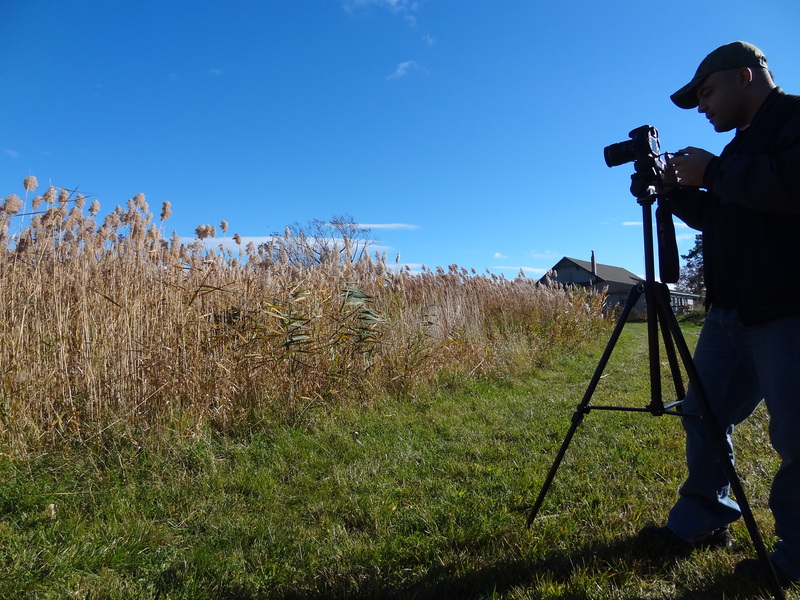 Our friend Hong taking photos of the tall grass near Pinecliff Lake in New Jersey.